Let’s face it, I’m no ingenue. In fact, I recently attended my 40th high school reunion. It’s shocking, sometimes, to realize that I’m 57 years old. I certainly don’t feel that age on the inside. Do I look like I’m nearing 60 on the outside? Wait! Don’t answer that. All I can do is hope that genetics and a good skin-care routine will keep my face reasonably wrinkle-free for awhile longer. It’s worth noting, though, that I don’t want to look 25 0r even 35. I just … well, I suppose I wouldn’t be happy if someone actually guessed that I’m nearing 60. Closer to 50 is fine. All of this is to say that I’ve been very pleased with my skin of late, and I’ve been getting a lot of compliments on it too. As many of you know, I’m somewhat of a skin-care fanatic and I try a lot of products. 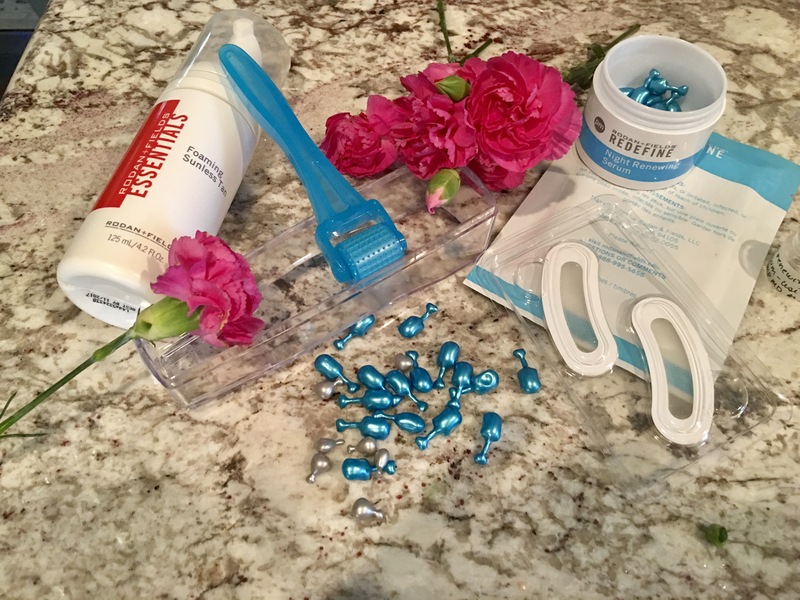 For the past month I’ve been sampling items from Rodan+Fields. Some of those products I purchased myself and others were sent to me by my friend Kim Leible, an executive consultant for Rodan+Fields. AMP MD System — This is my favorite of the products I’ve tried and the one I’m confident I’ll continue using. What is it? It’s a four-item set consisting of a micro-exfoliating roller, a vial for cleaning the roller, cleaning tablets, and 60 capsules containing a night-renewing serum. The roller is covered with dozens of tiny, fine needles and I roll it over my face about three times per week. It might sound medieval, but it’s painless and the punctures are invisible. The objective is to trick the skin into renewing itself, which can increase collagen production and reduce wrinkles. I particularly love the Night Renewing Serum. It nourishes, smooths and plumps the skin and has been a real game-changer for me. Redefine Lip Renewing Serum — Do you have chapped lips, dry lips or lip lines? This is a lovely product that works wonders by restoring moisture and plumping out lip wrinkles. My sister, who has drier lips than I do, swears by this item. Essentials Foaming Sunless Tan — This is a hugely popular product and one that’s often out of stock. However, I’m on the fence about it. Unlike many other self-tanners, it provides a natural, non-orange hue. However, don’t expect a lot of color payoff in one use. I had to apply it several times to get much in the way of noticeable color, and my skin is very pale. I’ve heard that other users didn’t experience this issue, so perhaps it didn’t work with my skin chemistry? I’ve never had this problem with any other brand of self-tanner, so I’m not sure what the issue was. All in all, I must say I’m very impressed by Rodan+Fields. While the self-tanner wasn’t a home run, the skin-care products were winners and that’s what matters to me. The Night Renewing Serum and Acute Care patches are on my reorder list and I’m hearing great things about the new eyelash-growth serum. If you’re interested in trying Rodan+Fields, you can reach Kim’s R+F page here. Just a quick post to tell you about two new products I’m enjoying. The first is Slay All Day, Gerard Cosmetics’ entry into the makeup-setting-mist game. Now, I’ve used a number of mists in my day, from horrible (I’m looking at you, Coola) to very nice (Skindinavia’s Dew Me). In my view, Slay All Day is the best of the bunch. Next up is a cool Korean import: J. One Jelly Pack. The bottle promises, somewhat ungrammatically, “dramatic firming skin with improved elasticity and pore-smoothing.” The instructions on the bottle are written in what I assume is Korean, but fortunately the box provides clarity. 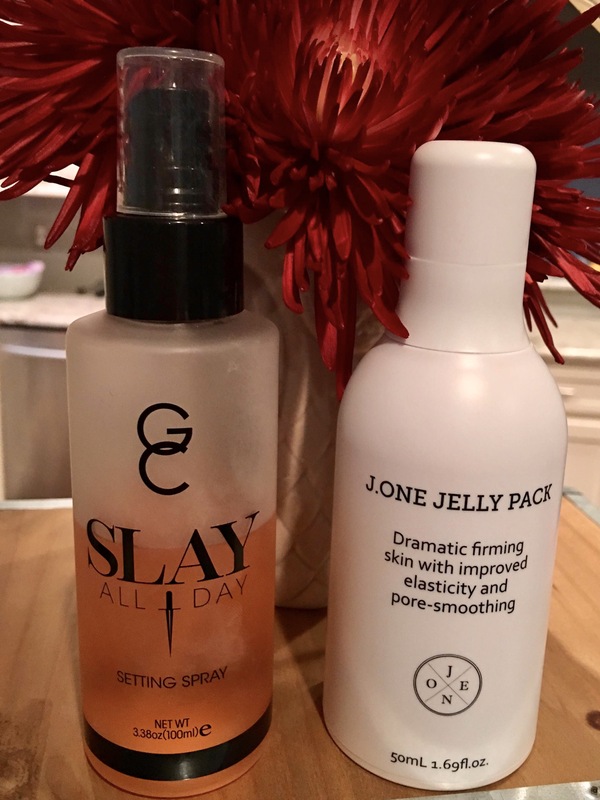 Basically, Jelly Pack alleges it can be used instead of multiple other products, including moisturizer and primer, to give skin a smooth, radiant, tightened slate on which to apply makeup. It’s also supposed to endure makeup lasts longer by helping it adhere to your skin. 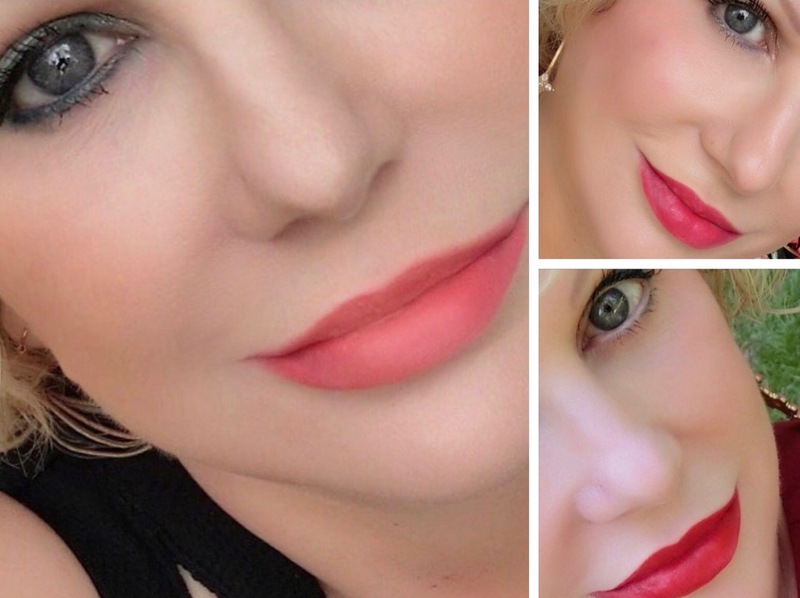 I post my lipstick of the day over on my Instagram account (makeup_plus_50). It’s a good way to keep track of my favorites while also maintaining a tally of what other Instagrammers like and don’t like. September was a month for reds, but the most-liked shade was not crimson and — News Flash! — at $12 it was one of the least expensive lipsticks in my drawer. 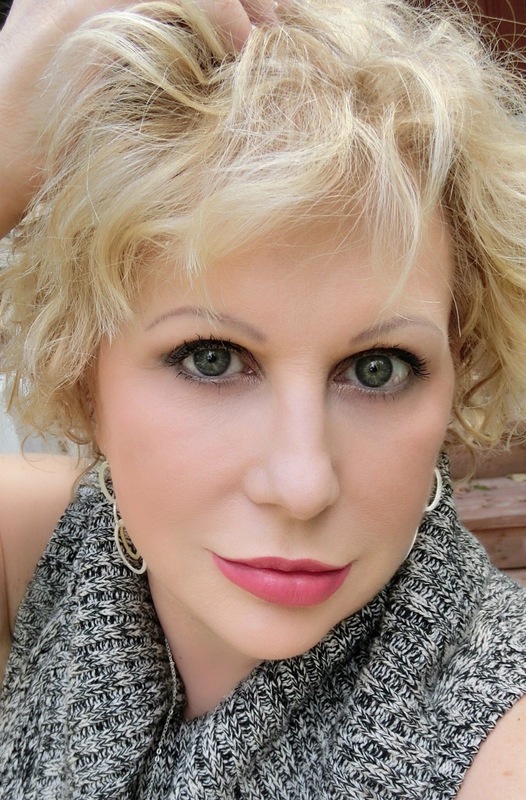 One of my followers even guessed that it was a super-high-end Yves St. Laurent lippie. It just goes to show that makeup doesn’t have to be expensive to deliver good results. 1. NYX Ombré Lip Duo in Peaches & Cream, $12 at Ulta. 2. NARS Velvet Matte Lip Pencil in Dragon Girl, $26 at Sephora. 3. Marc Jacobs Le Marc Lip Creme in Dashing (Very Cherry), $30 at Sephora.